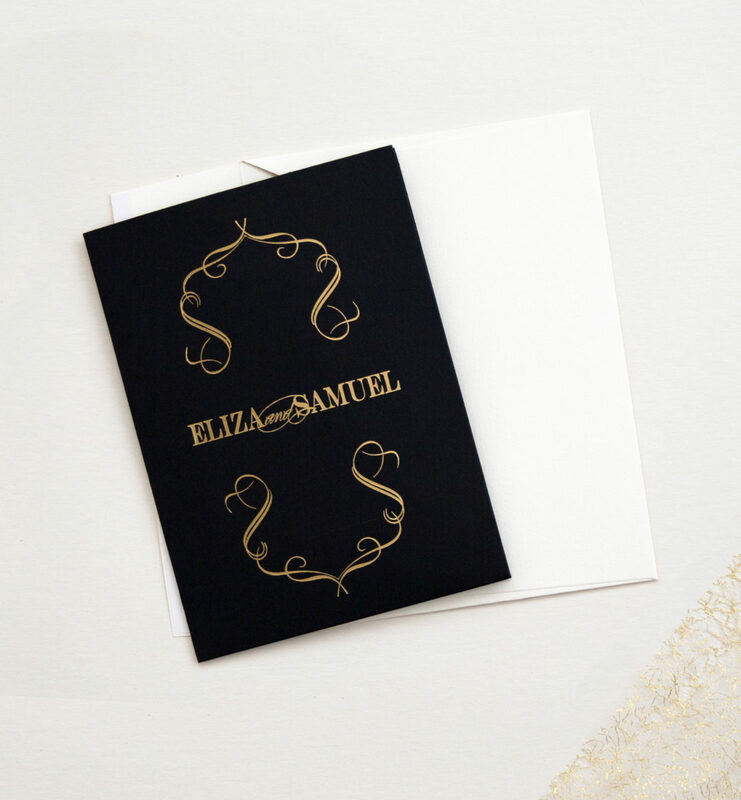 Sleek, decadent elegance and sophistication for a black-tie affair. 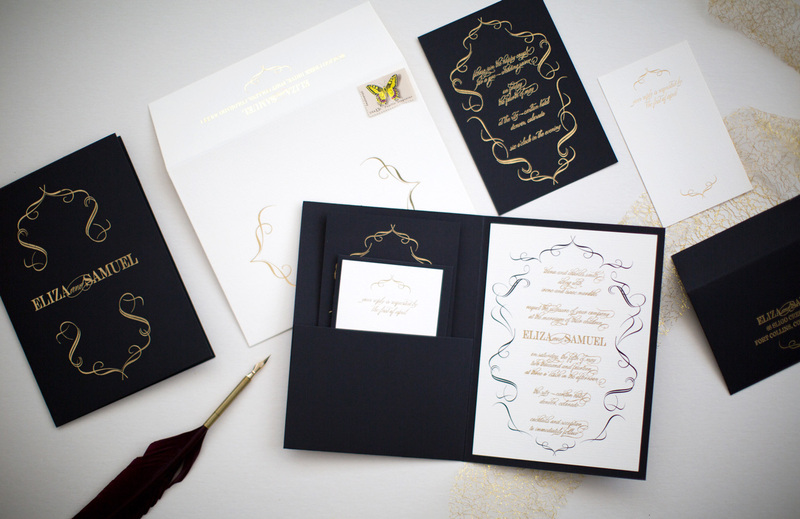 Featured design features gold-press vintage scroll motifs against a deep velvet black backdrop. Let the drama unfold. 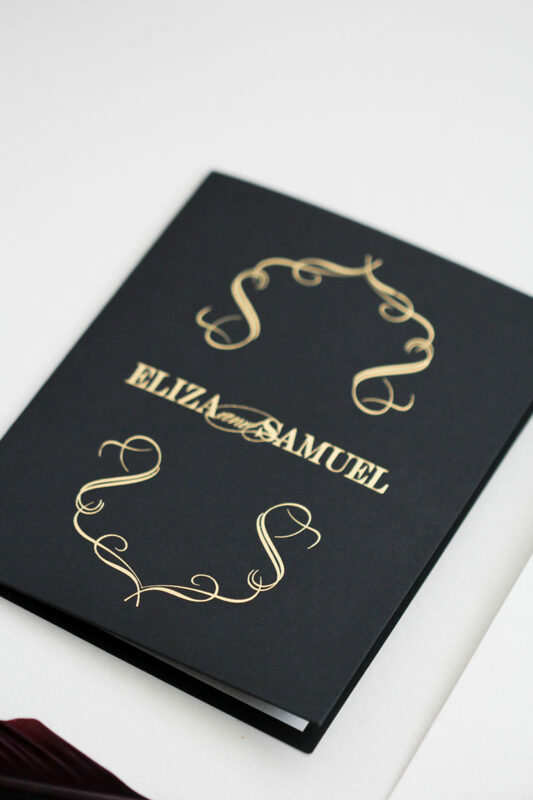 Shown in black and gold for the luxe wedding of Eliza and Samuel at the Ritz Carlton in Denver, Colorado. 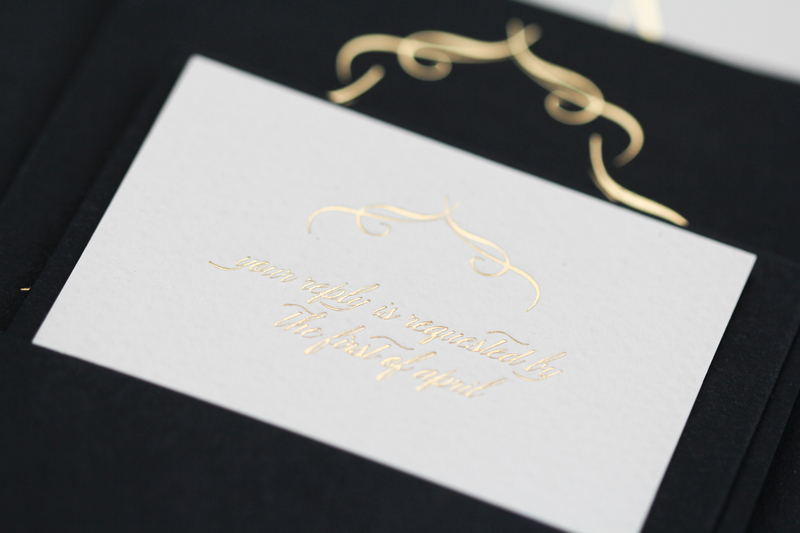 Also shown in gold and ivory with modernized typography for the wedding of Chetna and Shoban also at the Ritz Carlton, Denver.